Disclaimer: proceed at your own risk. The following observation of an emerging political figure is through the eyes of one who has known him affectionately since he was a little boy. Notwithstanding the personal connection, I really do see him as a potentially great voice of the next generation. Joey Goodwin, oops, he is now Joe Goodwin, the son of historian and biographer Doris Kearns Goodwin and Richard Goodwin (speechwriter to JFK, LBJ and RFK), is running for the open 3rd Middlesex Massachusetts Senate seat, being vacated by Susan Fargo. So progressive values are in his DNA. A child of privilege, Goodwin went to Concord public schools and Harvard College and attends Harvard Law School. But well before his ripe old age of 34 he showed a serious interest in public service, working in Washington for the late liberal Senator Paul Wellstone of Minnesota, who died in 2002. In Massachusetts, he took a semester off from Harvard to help run State Representative Cory Atkins’ campaign, and later worked for gubernatorial candidate Steve Pagliucca. He could easily have gone into some cushy job and glided through life very comfortably. But that was not in his character. When the nation was hit by the 9/11 attacks, he didn’t bluster or wring his hands. The very next day he joined the Army. When Joe came home, he worked for General Electric on renewable energy, but in 2008 was recalled to active service in Afghanistan. For a year he was special advisor to the NATO Director of Strategic Communications, investigating civilian casualties and working on solutions to prevent repeat tragedies. Harvard moral philosophy professor Michael Sandel warns how market values are driving out civic values from our culture. Tom Friedman unhappily writes “we are losing the places and institutions that used to bring people together from different walks of life.” Political life has become increasingly toxic and polarized. From international forums, to the halls of Congress, to state houses, we are also losing the people who can move beyond the rhetoric and walk the walk. Joe Goodwin has that spirit of community, understands what is necessary to negotiate our differences and has the skills to lead. Joe has “the touch.” His opening speech was delivered flawlessly. He has the warmth and earnestness to persuade people to embrace causes larger than their narrow interests. 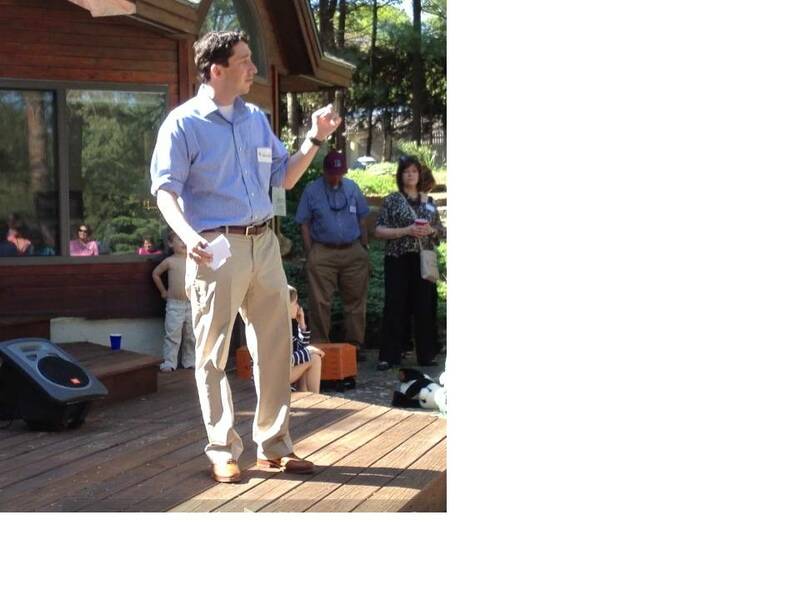 “I won’t let you down,” he told supporters at an ice cream social Saturday at the home of State Representative Cory Atkins. He’ll be running against a pro, Mike Barrett of Lexington, who served three terms in the state House of Representatives, four terms in the Senate and left politics after a failed bid for governor. 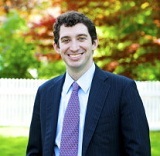 Barrett has Barney Frank’s endorsement, who served with him in the Massachusetts legislature. Other Democrats include Mara Dolan of Concord, Joe Mullin of Weston and Alex Buck of Chelmsford. Republicans running include Concord Selectman Greg Howes and Sandi Martinez of Chelmsford, who has run before. But Joe Kearns Goodwin, in his first race, will certainly be competitive. And I, for one, am certainly reassured to know that this young man could be a stand-out leader in the emerging generation. If I lived in his district, I’d be voting for him. I’d be pleased to read your comments below. This entry was posted in Politics and tagged 3r4d Middlesex Mass. Senate district, 9/11, Concord, Cory Atkins, Doris Kearns Goodwin, General Electric, Harvard, Joe Kearns Goodwin, Michael Sandel, Mike Barrett, Paul Wellstone, renewable energy, Richard Goodwin, Susan Fargo, Tom Friedman. Bookmark the permalink.